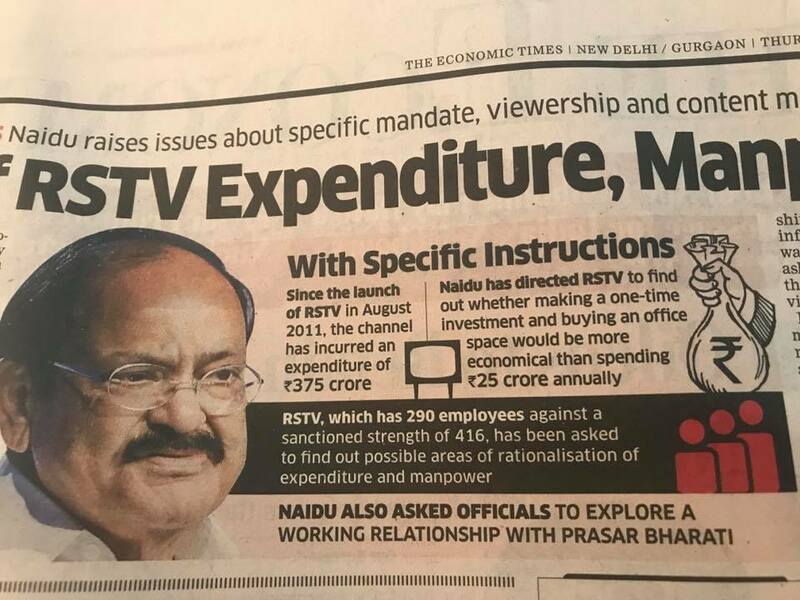 Now that it has been officially made clear that RSTV’s expenditure is just ₹62.5 crore a year, out of which ₹25 crore goes to NDMC, the fake news campaign of ₹1700 crore or ₹3000 crore spent stands exposed. RSTV was created as robust public broadcaster and with good intentions. I wish it great second innings now. राज्यसभा टीवी के संस्थापक, सीईओ और एडिटर इन चीफ रहे गुरदीप सप्पल की एफबी वॉल से.